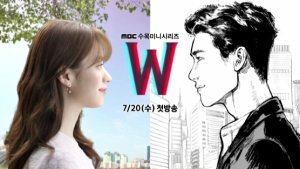 Yoo Yeon Seok (Reply 1994, Gu Family Book) and Kang So Ra (Incomplete Life, Doctor Stranger) star in MBC's new drama, Warm and Cozy - which will start airing May 13 after Angry Mom. The director is Park Hong Kyun, who also directed The Greatest Love and New Heart. The writers are the famous Hong Sisters, Hong Mi Ran and Hong Jung Eun. They were the ones who wrote The Greatest Love and won best screenplay in 2011. They have written many other popular dramas including Master's Sun and Hong Gil Dong. Kim Sung Oh (Night Watchman's Journal, Inspiring Generation) and Jung Jin Young (Perseverance, Goo Hae Ra, She is Wow!) will also be in this drama. The story is based on an angry ant, Lee Jung Joo (Kang So Ra) and love-deprived grasshopper, Baek Gun Woo (Yoo Yeon Seok). Baek Gun Woo is a brutally honest and intelligent man. He moves to Jejudo and sets up a restaurant for the girl he likes. Lee Jung Joo receives a lot of pain in her life and puts up a shield of strength and arrogance to hide her weak and gentle heart. She moves to Jejudo after losing her job and boyfriend. Jung Poong San (Jung Jin Young) decides that pharmacy school doesn't fit him and ends up working at Baek Gun Woo's restaurant after deciding to travel the world. Hwang Wook (Kim Sung Oh) is the mayor with a mature and wholesome but rigid personality and the most eligible bachelor. I will be watching this. I love the actors in this. Kang So Ra and Kim Sung Oh are two of my all time favorites. Here is to hoping this drama is more like Master's Sun and less like Big. Kim Soo Hyun (You Who Came from the Stars, Dream High), Gong Hyo Jin (It's Okay, That's Love, The Master's Sun), Cha Tae Hyun (Jeon Woo Chi, My Sassy Girl), and IU (Pretty Boy, Dream High) are to star in KBS2's new drama, Producer which starts May 15. The directors are Seo Soo-Min, Yoon Seong-Ho, and Pyo Min-Soo. Seo Soo Min is a variety show PD who has produced Gag Concert and Yoo Hee-yeol’s Sketchbook. She is known for her successful projects. Pyo Min Soo also directed Ho Goo's Love, Heartstrings, and many more recognizable dramas. The writer is Park Ji Eun who also wrote You Who Came from the Stars for which Kim Soo Hyun was the lead. Ra Joon Mo (Cha Tae Hyun) is a 10-year veteran PD of variety shows and is known for rebelling against the Korean Communications Standards Commission. Although he has produced many good shows he has yet to have a long lasting hit. Baek Seung Chan (Kim Soo Hyun) leaves a stable future as a prosecutor to join the network as a rookie PD because of his first love. Tak Ye Ji (Gong Hyo Jin) is a veteran music show PD. She is said to be smart, a bit haughty, and childish. Cindy (IU) is a cold and distant 10-year veteran idol that started as a trainee when she was 13 years old. Although she is distant, there is good reason as she has been betrayed by people she cared about. I'm watching this too. It seems very interesting and I like the actors. I know some people think that Kim Soo Hyun is over rated and IU is an idol actor, but I like them both. Oh and for those of you who like Running Man, Kin Jong Kook will also have a role in this drama. Yeo Jin Goo (Missing You, The Moon that Embraces the Sun), Seol Hyun (Ugly Alert, My Daughter Seoyoung), and Lee Jong Hyun (One Sunny Day, A Gentleman's Dignity) are to star in KBS2 drama, Orange Marmalade - which is set to air on May 15. It is based on the webcomic written by Seok Woo (published from February 5, 2011 to January 4, 2014 via comic.naver.com/webtoon/). The director is Lee Hyung Min who also directed dramas Bad Guy and Winter Sonata. Song Jong Ho (Mandate of Heaven, Answer Me 1997) has been added to the cast. Baek Ma Ri (Seol Hyun) is a socially awkward teen vampire who is hiding her identity. Although there is a world where humans and vampires coexist, the vampires are still feared and discriminated against in society. Ma Ri has been wondering the country and is happy to settle down in a new city and live quietly, but everything changes when she accidentally bites the neck of the most popular boy in school, Jung Jae Min (Yeo Jin Goo). Han Shi Hoo (Lee Jong Hyun) is Jae Min's rival. Han Yoon Jae (Song Hong Ho) is an affectionate vampire teacher who is also hiding his identity. If I wasn't already a vampire fanatic, the trailer would have drawn me in. I am so watching this also. Joo Sang Wook (Birth of a Beauty, Cunning Single Lady), Kim Sun Ah (I Do, I Do, Scent of a Woman) are to star in KBS2 drama, Masked Prosecutor - which will start on May 21 after Unkind Women ends. The director is Jeon San who also directed Ruby's Ring. The writer is Choi Jin Won who also wrote Big Man. Ha Dae Cheol (Joo Sang Wook) is a prosecutor frustrated with the justice system At night he becomes a masked crusader that hunts the people he couldn't bring to justice through the law. Yoo Min Hee (Kim Sun Ah) is a smart, upright, elite detective squad chief in a violent crimes division. Soo Ae (Queen of Ambition, A Thousand Days Promise) and Joo Ji Hoon (Medical Top Team, Five Fingers) are to star in SBS drama, Mask - which starts May 27 after The Girl Who Sees Scents. The director is Boo Sung Chul who also directed The Heirs and Jang Ok Jung. The writer is Choi Ho Chul who wrote the critically acclaimed, award winning and viewer favorite Secret. Yoo In Young (The Three Musketeers, Empress Ki), Yeon Jung Hoon (I Summon You, Gold!, Vampire Prosecutor series), and Hoya (My Lovely Girl, Reply 1997) are also cast in the drama. Byeon Ji Sook (Soo Ae) lives a hard life due to her father's private loans. She is a determined to live differently as she begins living her life as Eun Ha (whom she looks alike) and enters a chaebol family. Min Woo (Joo Ji Hoon) became a successor of a large corporation when he was 7 years old. He never reveals his feelings, but when he meets Ji Sook as Eun Ha he begins to protect her. Byeon Ji Hyuk (Hoya) is Ji Sook's younger brother who causes the family trouble. Mi Yeon (Yoo In Young) is Min Woo's half sister who has everything but the man she loves. Min Seok Hoon (Yeon Jung Hoon) is Mi Yeon's husband, but their relationship isn't what it seems. I watched Soo Ae in Queen of Ambition and I love her. I like dramas like this so I am definitely watching this! 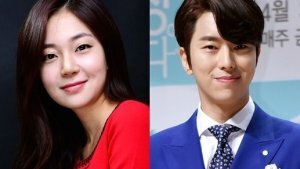 Jae Hee (The Firstborn, May Queen) and Kang Byeol (Miss Mamma Mia, Ugly Alert) are cast in the KBS drama, Protect the Family that is to air in May (around the 11th). The director is Jeon Seong Hong who also directed Wife and Woman. The writer is Hong Yeong Hee who also wrote I'll Give You the Stars and the Moon. Boyfriend member, Jo Young Min has also been cast in the drama. This is a family drama looking back on the meaning of 'family' through three generations of sons and fathers. Lee Hae Soo (Kang Byeol) Is a freelance reporter. She becomes the head of a household of seven when her father remarries. Jeong Woo Jin (Jae Hee) is an emergency room doctor in a poor village. After he meets Lee Hae Soo he regains his optimism and becomes a committed doctor. Go Ye Won (Jo Young Min) somehow becomes family with Lee Hae Soo (maybe he is one of the household of seven). i don't know if I will be watching this. I like family dramas, but I usually like the total Makjang kind. Hong Ah Reum (Tears of Heaven, `Stranger) and Oh Hyun Kyung (King's Family, She is Wow!) star in tvN drama, Bird that Doesn't Cry - starting May 4. There wasn't much information even though there was a trailer. 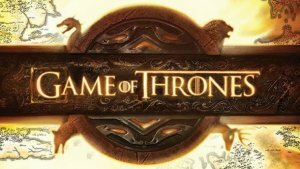 It will have 100+ episodes. This drama is about the revenge of a daughter (Hong Ah Reum) who lost her mother to a Greedy and Evil Lady (Oh Hyun Kyung). I have never watched a drama that long and I'm not going to start with this one, but I still thought you would like to know about this. Byun Yo Han (Incomplete Life), Song Ji Hyo (Emergency Couple, Goong), Lee Yoon Ji (King's Family, The Great Seer), Jang Ji Eum (Gu Am Heo Joon, Ugly Cake), Ryu Hwa Young (OK Family, Mother's Choice will start in tvN drama, Ex-Girlfriend Club that will start airing on May 8. The director is Kwon Seok Jang who also directed Miss Korea and My Princess. The writer is Lee Jin Mae. Bang Myung Soo (Byun Yo Han) is a famous webtoon writer who writes based on his past relationships. Kim Soo Jin (Song Ji Hyo) is a producer who is assigned to make his webtoon into a movie. Her production company is failing and this is an effort to save the company, Jang Hwa Young (Lee Yoon Ji) is one of Myung Soo's ex-girlfriends who is thought to have an obsessive streak with crazy eyes that liked Myung Soo too much. Na Ji A (Jang Ji Eum) is another of Myung Soo's ex-girlfriends who is said to be extremely haughty and chic. She is a busy woman from Cheongdam-dong who has been married then divorced to a rich man she met through a formal matchmaking date. Ra Ra (Ryu Hwa Young) is another ex-girlfriend who was to "hot" for him to handle. Again I am watching this drama. Some of my favorite actors are in this drama. Song Ji Hyo is just awesome and I'm totally watching for her. I have wanted to see Byun Yo Han again ever since Incomplete Life. I have loved Lee Yoon Ji since King2Hearts when she played the princess. I think this is going to be a cute rom/com and I can't wait. I have seriously never wanted to watch so many dramas. With all the dramas I am already watching, I have no idea where I am going to find the time. I will figure it out though. Which one of these upcoming dramas look interesting to you?